From childhood, I feel deeply connected with Shiva. I don’t know why but HE is been my favorite! Everything looks so perfect about HIM. Remembering HIM, brings me back to the center. 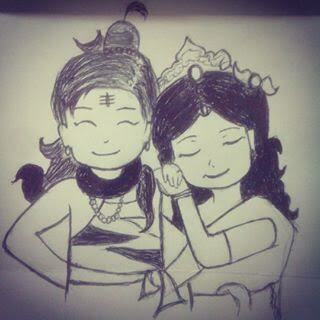 Have a blessed Shivratri dear all! Can I absolutely be happy? A question, I asked. I waited for the response! The thoughts of LACK attract the same quality of outcomes in my life. How can I be absolutely happy when I’m silently affirming lack -laden thoughts! Thoughts influence the outcomes. Keep a check on the quality of your thoughts! Are they harmonious? Or are they full of worry?